While most were giddy for middle school or simply just had their first communion at 13-years-old, Machine Ventures co-founder and CEO Shahab Shabibi was busy building his first company. At 13, Iranian-born Shabibi launched the first music portal in his home country after realizing there’s no available platform for local indie artists to share their music. Three years after, the programming enthusiast also put up a sports news agency with some friends, which quickly translates sports news in English to its home tongue. The football fan in him simply thought how slow most traditional news outlets were in publishing stories from the games that transpired. “I’m personally interested in setting up things and coming up with innovative solutions and bringing them to life as soon as possible and with as little resources,” Shabibi said. More than seven years after, this intuitive and creative spirit keeps bringing new startups to life. At 20-years-old, Shabibi has so far built at least five companies, while looking at launching two to three more by year-end. He doesn’t look at it as a race against a time. His tech startup, Machine Ventures, simply has a rich vault of ideas. Its apprenticeship program—open for students and young adults alike—encourages the open space culture thriving in most Silicon Valley startups. 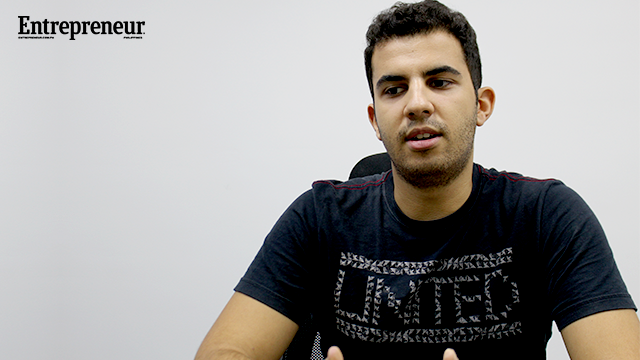 In fact, Shabibi, together with his co-founder Farouk Meralli, don’t have closed offices in the Machine headquarters. All employees stay in one area, sharing a long table where they can work better. “The people who take on the apprenticeship program are usually given a lot of autonomy and authority to [do] what they do, which triggers their entrepreneurial skills in getting things done faster and better,” Shabibi said. This yearning for a collaborative culture sparked when Shabibi found himself at a loss for the right company to get in when he was looking for an internship program in college. If heartbreak is the best trainer, frustration may be the best inspiration for a business leader. Shabibi made it his office’s promise to create a culture where every employee may create a career path for themselves, without the struggles of the usual office bureaucracies. The collaborative and creative spirit transcends not only the office layout but the hiring process. For the millennial executive, wisdom and ideas aren’t exclusive to the big ups. The apprenticeship program is the best manifestation of the Machine Ventures culture. If the company deems the intern fit for a specific job in the company, he or she is hired right then and there. Some can enter as a member of the graphic and multimedia team but end up serving the marketing department if the company sees you serve better in that area. Once hired, employees are required to serve as part of the operations team for at least two days to better understand what the business is about. Yes, even when you signed up as part of the business development team. If there’s something unpleasant in a specific department or in the company itself, you are entitled to speak up. As a matter of act, Shabibi will personally tell employees on their first day: question everything. If usual offices hold company-wide surveys every quarter, the company holds monthly meetings with everyone required to recommend or suggest an improvement, sometimes, even question decisions made. If the numbers are to be studied, this culture has already showed its rewards. Currently, at least 80 to 90 percent of the HeyKuya team are former apprentices. The whole Machine Ventures staff has already successfully handled three companies under its wing: HeyKuya, real-estate finder GetPlace and digital marketing platform Constellation7. For the young technopreneur, Machine Ventures has three requirements before it starts a venture: it has to be a scale-able, solving a real-world problem and more importantly, inclusive. As if building companies were hard enough, Shabibi leads his herd as if he’s senior beyond his peers. 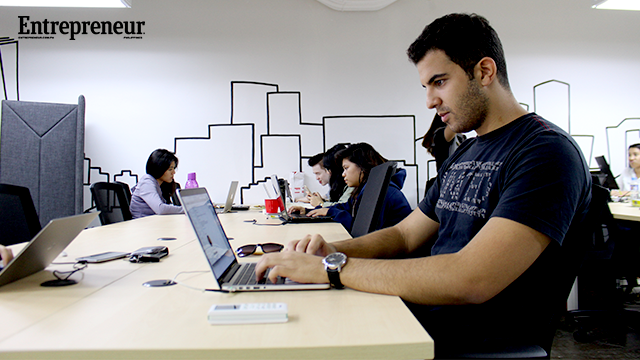 At 20-years-old, the technopreneur has built most people spend their lifetimes working hard for. But if there’s one thing the millennial credits his fearlessness for, it’s the obvious fact that most people his age forget when starting on their own: youth.